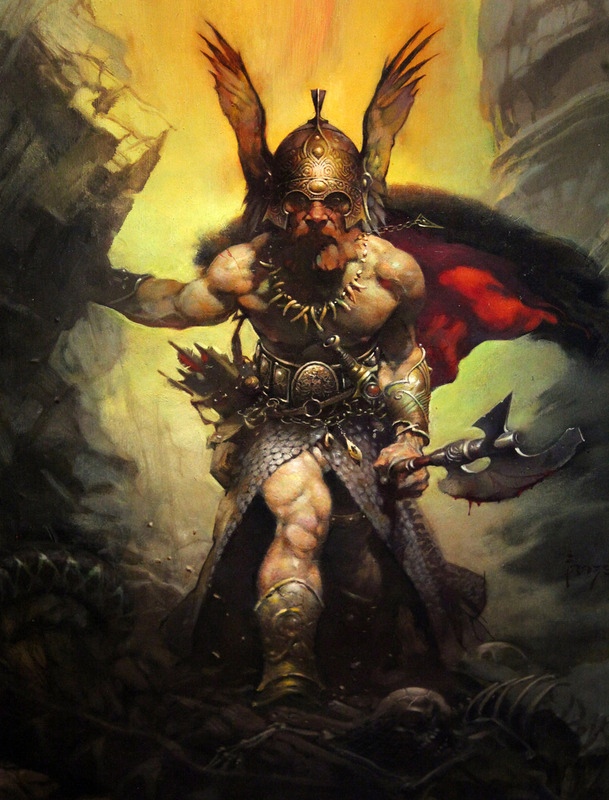 Like many of you, the fantasy work of Frank Frazetta has long been amongst my favorites. Well director Robert Rodriguez is also a huge fan and he will be hosting a pop up museum down in Austin, Texas from March 8th thru March 16th at the SXSW festival that features the work of Frazetta and some other legendary artists. Here is the official announcement that has me, yet again, WISHING I lived in Austin as I would LOVE to go to this. 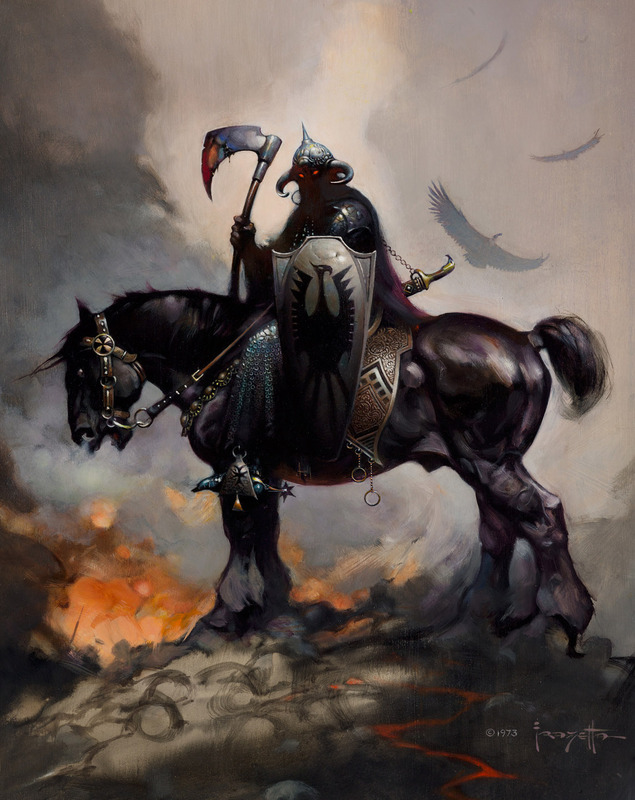 For a limited time only during SXSW, Robert Rodriguez is proud to launch a museum featuring his own specially curated collection of art which includes the work of celebrated American artist Frank Frazetta. 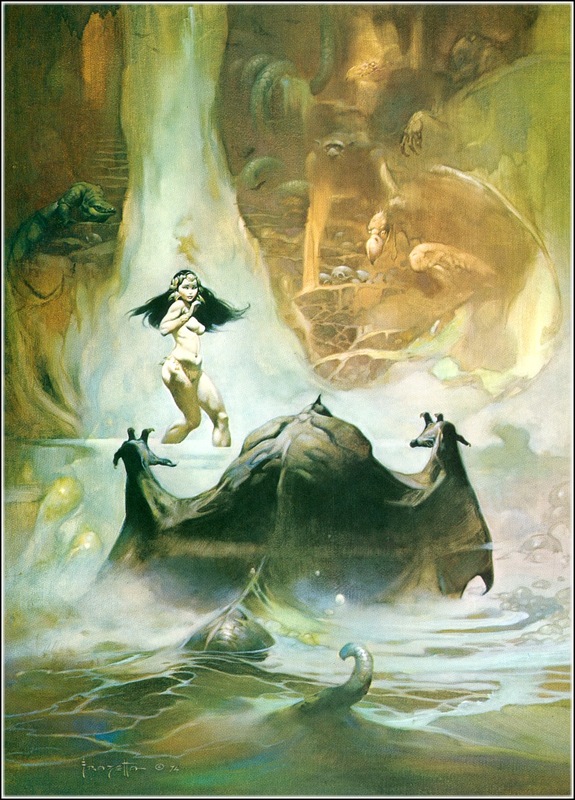 Considered to be the most influential fantasy artist in history, Frazetta contributed iconic artwork to classic works of fiction for Conan the Barbarian, Tarzan& John Carter of Mars among others. The gallery will be open to the public daily from Saturday, March 8th – 16th from Noon – 8 pm. The museum is located at 920 Congress Ave. in Austin, TX. The gallery will have a $20 entrance fee benefiting the Frazetta Estate’s preservation of the art for a new Frank Frazetta museum. The gallery will also feature an original SIN CITY masterpiece by FRANK MILLER, original art by DREW STRUZAN including his rendering of Sylvester Stallone for the movie poster FIRST BLOOD, and original poster art for THE THING. Original paintings by New Pop Art master SEBASTIAN KRÜGER including hyper real paintings of Keith Richards, Mick Jagger and Danny Trejo. Bronzed art sculptures from CLETE SHIELDS. Shields’ work has been commissioned by Quentin Tarantino, Kevin Smith, Robert Rodriguez, and Samuel L. Jackson. In addition, the gallery will feature SIN CITY character self-portrait paintings from cast members, including Bruce Willis, Joseph Gordon-Levitt, Lady Gaga, Rosario Dawson, and Josh Brolin, painted with Robert and his mentor, artist George Yepes during the making of SIN CITY 2. There will also be a selection of hand numbered giclée prints of Frazetta pieces photographed and printed by Robert Rodriguez available for purchase. 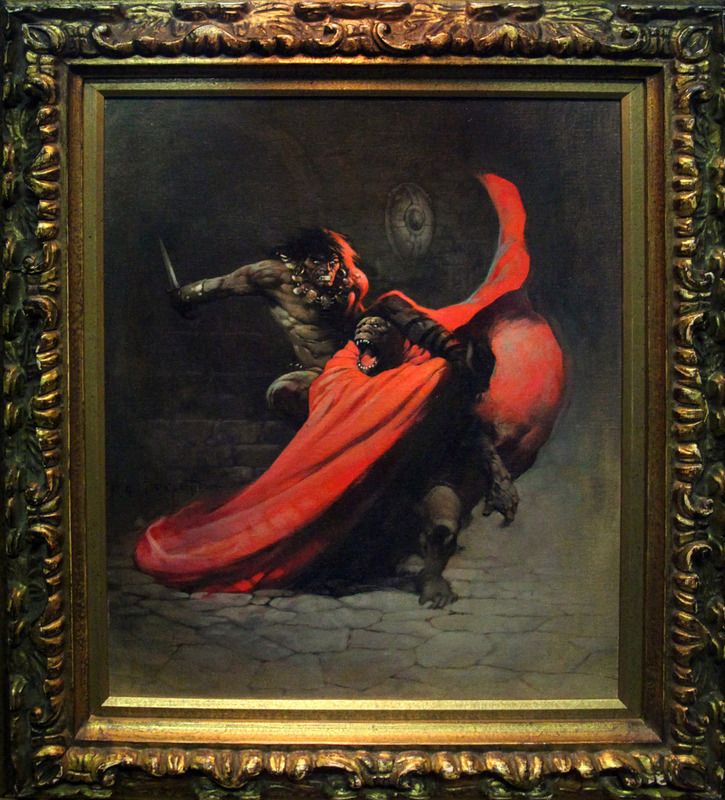 Proceeds from the prints will benefit the Frazetta Estate to preserve the art for a new Frank Frazetta Museum. The idea for the museum has been long in the making. Robert Rodriguez has been touring Frank Frazetta original art at Comic Con and Wizard Con to continue the wish of Frank Frazetta, a friend and collaborator of Robert’s who always wanted audiences to see his paintings in person. 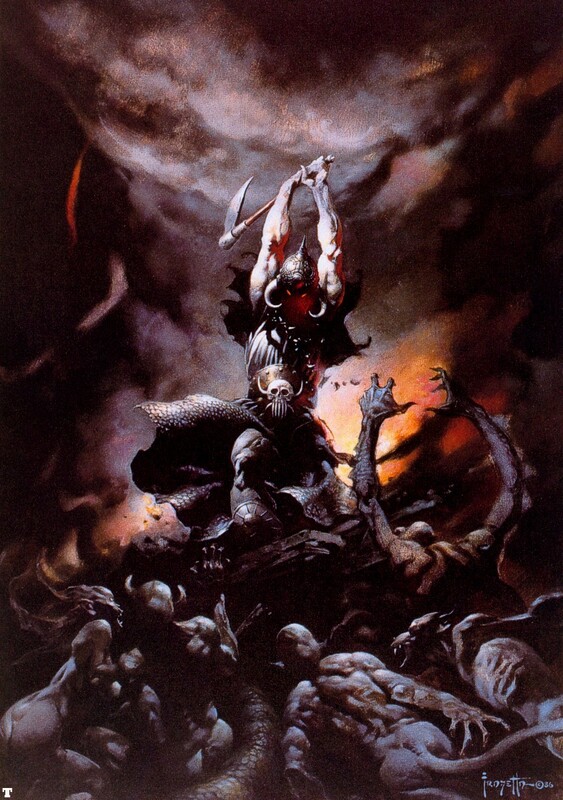 The original Frazetta museum in upstate New York closed after the passing of Frank Frazetta in 2010. The new Rodriguez museum features other world class artists Robert has also worked with and studied under over the years, with art that he’s collected himself, and others that are on exclusive loan for this event. 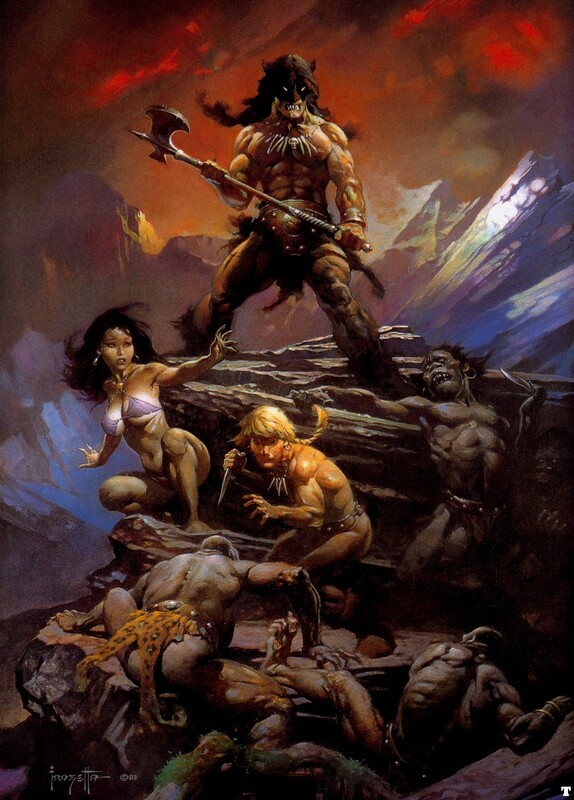 The FRANK FRAZETTA COLLECTION has an unprecedented amount of original masterpieces including Death Dealer, Egyptian Queen, At the Earth’s Core, Conan, and Dark Kingdom, as well a rare painting Frazetta did for the movie FROM DUSK TIL DAWN among others. 12 masterpieces total. If you are at SXSW you have to add this to your “to do list.” Just don’t brag about it or send photos to me on TWITTER because I will be insanely jealous and could morph into the Death Dealer at the drop of a hat. Here is a quick video featuring Rodriguez at Chicago Comic Con where he did a similar showing. You can absolutely hear the passion in his voice as he talks about Frazetta. DAMN I WANT TO GO TO AUSTIN! This entry was posted in Art, Event, Video and tagged CLETE SHIELDS, Dark Kingdom, Death Dealer, Drew Struzan, Fire And Ice, Frank Frazetta, Frank Miller, From Dusk Till Dawn, Robert Rodriguez, SEBASTIAN KRÜGER, Swamp Demon, SXSW. Bookmark the permalink.